Creepy Crawlers include: butterfly, tarantula, black widow spider, scorpion, grasshopper, fly, bee, ladybug, beetle, praying mantis, dragonfly, ant, and flea. Let's enter the world of creepy crawlies! 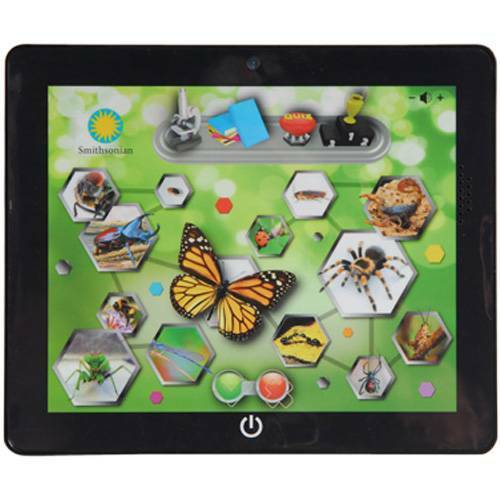 The 8 1/2" W. x 7" H. tablet has 4 game and quiz modes about the 14 bugs and crawlies represented.